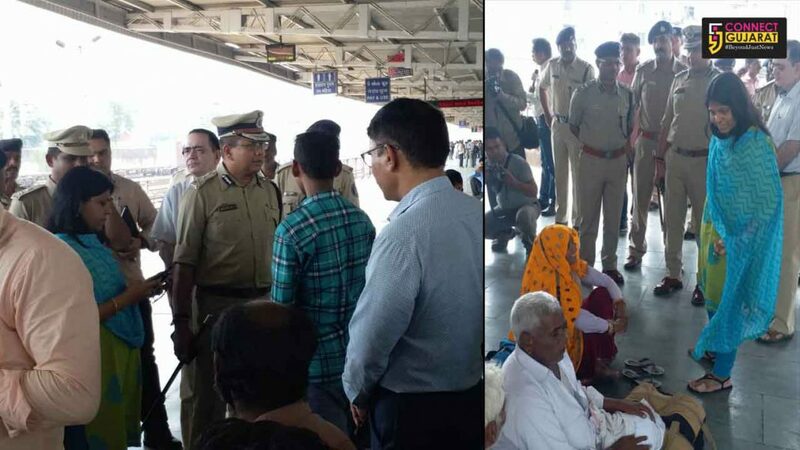 Police commissioner Anupam Singh Gahlaut, Collector Shalini Agrawal and other top officials visit Vadodara railway station in view of the recent attacks on other state people. As a confidence building measure they met the people waiting for their trains and give them the assurance that they are safe here. The other state people are in fear after the attacks on them in recent days. The police and local administration extend all their support to them in view of such situation and assure them the security. Flag march, night patrolling, peace meetings and all other measures are taken by the police and other departments to help them. On Wednesday as a confidence building measure the top officials visits the railway station and interact with them to remove fear from their minds. They try to know about their concerns and assure them about their security here in Vadodara and district.